A tastefully furnished holiday home with a fully enclosed garden, ideal for small children and dogs. 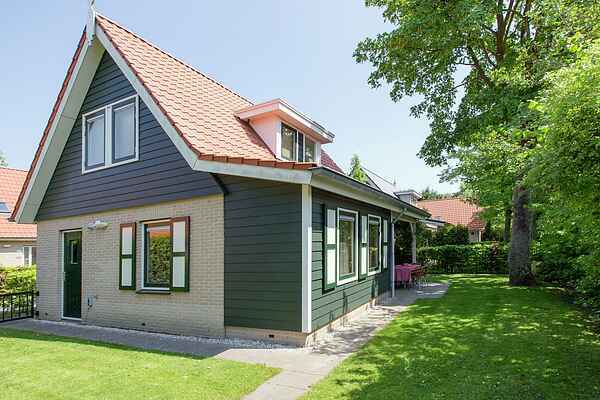 This holiday home in Zeeland is spacious and equipped with every comfort and luxury. The house is located on a small park in Zonnemaire, where you can enjoy your holiday in peace. This is an ideal destination for those looking for some peace and quiet, and a nice environment for families with young children who can play in the garden to their heart's content. Downstairs there is a spacious living room and fully equipped kitchen. The toilet can be found in the hall. On the upper floor there are three bedrooms, the bathroom and a second (separate!) Toilet. Get out and explore the nature of the beautiful Schouwen-Duiveland! The central location of Zonnemaire in Zeeland makes it the perfect base for exploring the island. Do you like walking, cycling, nature, beach and delicious food? Then this holiday home is the right choice! The Grevelingenmeer can be reached in 5 minutes by car and within 15 minutes you will be on the beach. Of course you can also visit the atmospheric Zierikzee, cosy terraces, shops and restaurants are within easy reach. Book this holiday home and discover all the beauty that Zeeland has to offer! Note: A second pet is allowed on request for an additional amount of € 20. To arrange this you can contact Belvilla.